Apartments, Villas and Rooms close to the beach in Consolação,Peniche. Looking for nice accommodation in a calm village near the ocean? Stay with Peniche SUP School during your Portugal visit. Rooms, Apartments or Villa. All the accommodations are located near beautiful Praia da Consolação in Peniche, Portugal. Consolação is a calm little fishing & surf village. Here you find some of the best seefood restaurants in the area of Peniche. 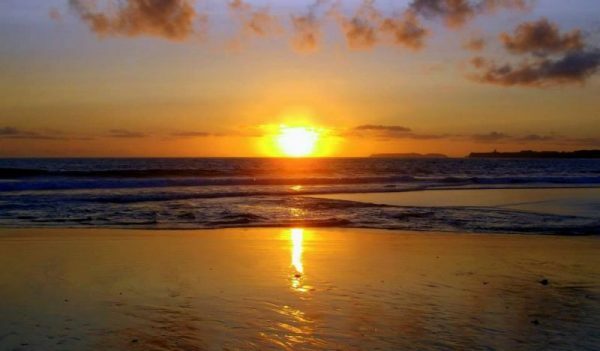 From the beach bar Clube da Praia Watch beautiful waves and stunning sunsets in the horizon. The accommodations we provide are all fully equipped and furnished. Located close to the beach and shared outdoor pool. Balcony and garden with indoor bbq area. Towels and sheets are included during your stay with us. Fruit & vegetable market, bakerys, bikerental, souvenir shops and bars will be found in between long sand dunes, rocks and agriculture fields. Stay with us, relax, eat well, enjoy sunny days, discover beautiful surroundings and watch stunning sunsets. Prices are based on a 7 night stay. You can stay longer or shorter. Min 3 nights. Prices are p/ person, and includes Iva/vat. Passport and deposit required. Contact by email or phone. Book now your lesson ! We will bring you to the best SUP spot of the day in the area around Peniche. Stand up paddle school in Peniche. Located near Praia da Consolação. Stand up paddle Lessons and Tours in the area around Peniche. Guided Tours – Lagoa de Óbidos, Ilha da Berlenga (Berlenga Island) and more.